Low mileage should be at the top of your checklist on your hunt for the perfect used car for your needs, as it signifies less wear and tear, a healthier transmission, and better resale value. If you’ve been on the hunt for the best pricing on low mileage used cars for sale in Lee's Summit, MO, your search ends at Eddy's Mazda of Lee's Summit’s diverse lot and competitive finance department. * 92 people have viewed this vehicle! * 46 people have viewed this vehicle! * 43 people have viewed this vehicle! Pre-owned vehicle pricing includes all offers and incentives. Tax, Title and Tags not included in vehicle prices shown and must be paid by the purchaser. While great effort is made to ensure the accuracy of the information on this site, errors do occur so please verify information with a customer service rep. This is easily done by calling us at 816-774-1100 or by visiting us at the dealership. *Must finance with Eddy’s Mazda. Selection: We offer a vast lot of used cars under 19k that have been thoroughly inspected — many of which have surprisingly low mileage despite their low price. Trade-in Value: If you have an old car, we’ll give you top-dollar — whether you just want cash or you want credit to apply towards your next car. These are only a few of the reasons to shop with us. Find out about all the perks we can offer you and set-up your test-drive by contacting us today. 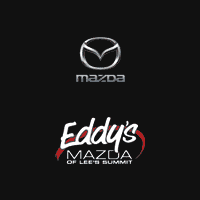 We look forward to showing you the Eddy's Mazda of Lee's Summit difference.